It is a well-known fact that Russia has fewer men than women. There are 86 males for 100 females. In total, there are 11 million less men in Russia as compared to women (67.7 million men to 78.5 million women). However, there is a substantial gender imbalance in the number of women in leadership positions in business and government. Women being the majority of the population are underrepresented in top jobs. “Women give birth to children and then teach them, and it’s the most responsible job,” the Deputy Prime Minister of Russia Arkady Dvorkovich said in response to complaints about the lack of women in the government. This patriarchal attitude is supported on the top level of the current Russian administration, which is known for promoting “traditional family values”. Only 13% of all companies have a female SEO. Only 37% of middle managers are women. In total, 66% of managerial jobs belong to men; only 34% to women. The larger is the company, the fewer women are in top managerial positions. Russia’s wealthiest woman, Yelena Baturina. The number of females in positions of authority depends on the industry. The proportion of women in the well-paid IT industry is only 25%. There are 67,2% of female workers among employees in casual positions. Russian women earn less than men even at higher managerial positions. Average monthly wage of female managers is only about 74% as compared to men’s remuneration in similar positions, Lenta.ru reports. In the IT industry the difference is even more profound: female managers earn only 54% of what men get paid. To find a female founder of a business empire is all but improbable. 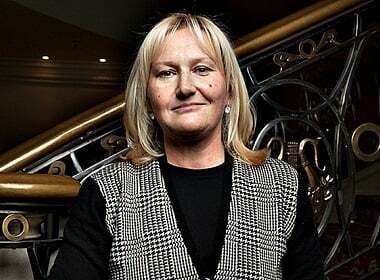 Yelena Baturina is the only lady in the latest Forbes’ list of Russian billionaires. She is the president of Inteco Management and also the wife of Moscow’s ex-mayor Yury Luzhkov. Is this enormous fortune due to her business smarts or the access to power brokers that her husband’s position allowed? The number of ladies striving for a business success increased in recent years. 96% of women in Russia have a positive attitude towards entrepreneurship. 84% are interested in starting their own business. Women who are already engaged in business say the desire to realize their ideas and benefit the community is their major motivation for working (33%). Women believe that to start a business personal qualities and self-confidence are important (43%) as well as having good team partners (35%). 51% of women who don’t own a business believe that starting a company would allow them to achieve higher financial rewards than being employed. But things may change. 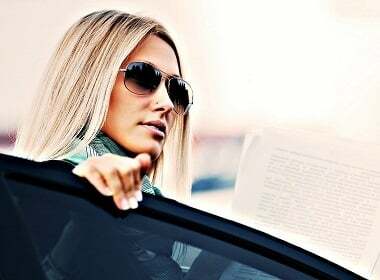 The Russian government is set on promotion of female entrepreneurship as one of their policies for the future. The program is supposed to be presented in November 2016 and set the measures and goal posts for 2017-2022. At the moment, Russia is behind predominantly Muslim countries of the former USSR such as Tajikistan, Kyrgyzstan, and Uzbekistan on the number of women in the federal parliament. The number of women in the government also drops the higher is the level. 45% of females on the level of councils. 13% of females in Duma (Russian parliament). In Europe the highest level parliamentary bodies have about 40% of females. Why Does Russia Have a Bad Reputation? Unfortunately, in the post-Soviet countries, it is very difficult for women to make a career, start business, take place in the political niche. This is largely due to stereotype . It is believed that the main work – children and maintenance of the house . The fact that women earn less money than man do is awful. But in general many women today are really successful and do not need any financial support. I should say that I try to earn myself and get more. First of all, in this situation I will respect myself. russians are pretty conservative and they have yet to accept new roles of a woman in society, which is common in the west, and this disbalance isn’t about traditional family values. besides it’s sad that many of russian women are not ready to break up with this “sit at home and give birth to babies” themselves, they need to make the first step. Russian mentality requires a woman’s life one purpose – to create a family, to give birth and raise a child. Therefore, most women in Russia are trying to marry early and give birth to a child. Since it is believed that a woman has to give birth to thirty years. Everyone should do whatever he or she wants. If woman doesn’t want to be a housewife, if she wants to make her dreams about career come true, so let it be. No one has the right to say what she must do. It’s great that women get more interested in starting their own business, you have my support. Unfortunately, many people still have stereotypical thinking. Russian men believe that the only proper place for women is the kitchen. It is not true! The days of Patriarchy are gone. Women and men have the same rights! So why should women work only in the role of housewives? It’s not fair. It is true that employers prefer to give job to men than women just because of our ability to give birth to children. Actually men also have an opportunity to get a parental leave. And it is widely spread in Europe and in the U.S.A. though in post-Soviet countries it is not so popular yet. Russia is not the only example! Gender imbalance in business (as well as in almost any other sphere) is a huge worldwide problem! Europe, USA, etc. – it is the same everywhere! We are living in the modern society and, of course, there is a progress comparing to the same situation, say, 100 years ago but still, a man and a woman with the same skills and experience will not have the same level of income. That is embarrassing! I hope eventually the balance will be reached. To my mind, it is a personal choice of every woman. We live in a modern world, and to combine family and career is a simple thing. There are plenty of examples of women who have husbands and pretty children and at the same time they have an intense work life. Also there is no any gender discrimination because ladies have conquered their place under the sun long ago. “No gender discrimination” but strong gender imbalance in business and leadership roles (see statistics). What does it demonstrate? There must be reasons why Russian women avoid starting their own businesses and don’t enter politics. You know what they are.